The new Stardust Fabric from Atelier Brunette is made of double gauze cotton with golden embroidered polka dots. It is a must have in the Atelier Brunette Collection. This gorgeous fabric comes in a range of stylish, yet sober variations to suit all tastes. 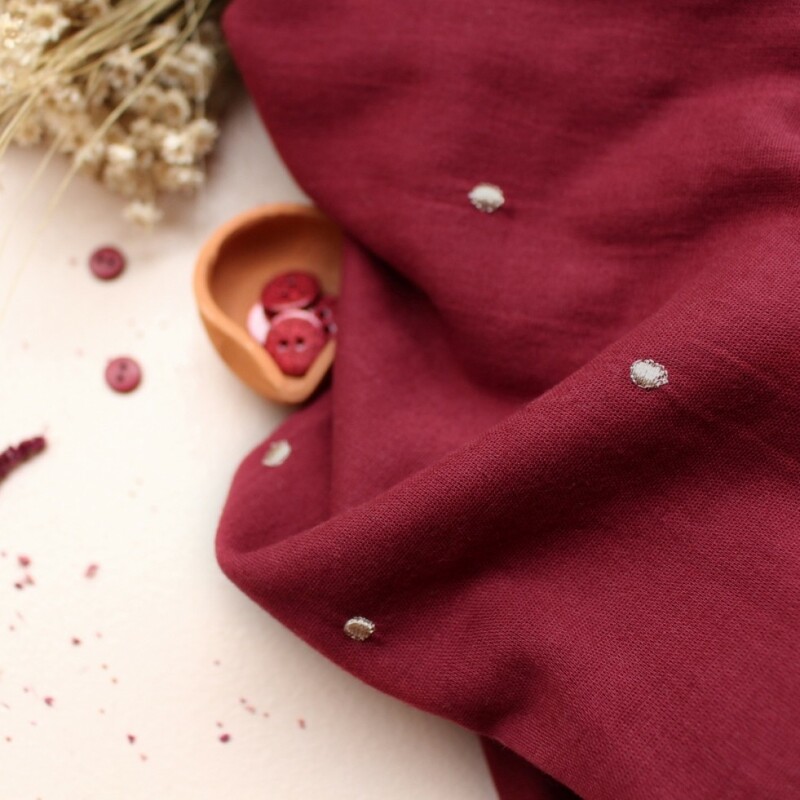 The poetic Stardust fabric is ultra soft which makes it ideal for sewing clothing for children and adults. This fabric will be a favorite for sewing dresses, skirts and also blouses.